well, i dont know if anyone who worked on this great system ever played mwo but - unless there is some magic option i didnt find by now - those things asked for are a complete joke. when i get a shot in the back after spawning i dont have a pen+paper ready in most cases, nor do i SEE who it was. not to mention that i dont know most map names ("the snow map", "the one with the tunnel"...) and that a lot of players use names i cant even decipher in 20 minutes - or i get a letter wrong. guys, really....i like the game, it´s QUITE teamkill/teamattack-free until know (got 3-4 attacks today) but please work something out that makes this procedure easier and a BIT less complicated. and, maybe something other players are interested in too : what happens to players who teamattack/insult (i dont mean "*****" or "stupid") others ? are there even ANY actions taken ? and if yes : which ? cause a "oh please, i heard you called him a *********. try to be a bit nicer next time" isnt exactly what i expect. and 2nd point : cant you please (!!!!) 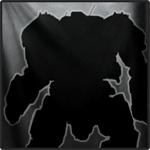 maybe put one guy who draws fancy mech paintings into the squad which works on the social feature ? atm it is horrible (except if you WANT to be left alone), i dont even get the blinky-social-button when i get an invite in most cases, a mistake in a players name you wanted to add makes it impossible to add him at all and some sort of categories would also be nice (i got aprox. 20 people in social and tbh i´ve got NO clue who 60% of them even are). and, what would be _really_ cool (and not so hard to do) : a chat system in the mechlab-window. when i work on a mech and just want a little hint on what i should put into which slot it would be really nice if i could just go into one of (lets say) 5-10 channels on different topics and ask there. and it might help forming a better community AND especially help new players. ps : and get some damned european servers !